She is planning to set up a fund. Fatherland faction MP Nadiya Savchenko has announced she is starting an independent political career. "I will not join the party, I will become an independent politician. I am opening my own fund, and you will be able to express your trust through this fund. I will not lie that I'm setting up a party that will be honest and which will receive money from the budget for its political activity. No, I will do the way they do in the US system. If I run for president, donate a hryvnya each," she said on the air of the Shuster Live TV talk show on 25 November. In her words, her platform is the People's Rukh [Movement] of Ukraine, not the eponymous party but the NGO. "The People's Rukh of Ukraine is a party. But apart from the party, there is an NGO. So I support this NGO," she said. 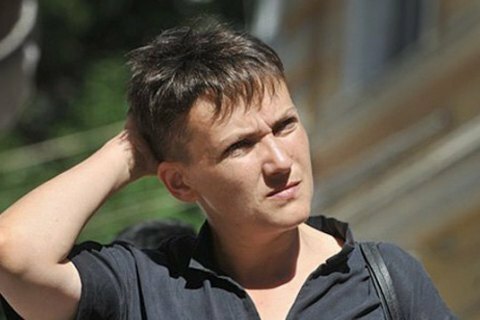 Savchenko was observed to make erratic political statements in the past. In August, she said she had some ideas regarding a new constitution which would provide for state development without the authorities. In July, she said she should become a dictator president.